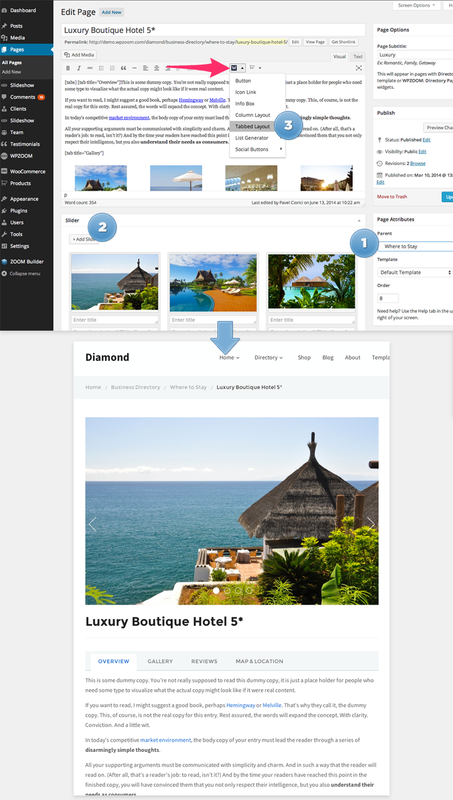 To add a new slide in the slider on the homepage, navigate to Slideshow > Add New menu. In the Slide Options section you can add an optional button for a slide or select the text alignment. Additional slider settings can be configured in Theme Options > Homepage > Homepage Slider. Directory module works very simply in this theme: using a special page template with the same name, you can easily display all sub-pages of a specific page as directory listings. To create a directory page similar to this or this from the demo, you’ll have to select the Directory template for a page which has multiple sub-pages. 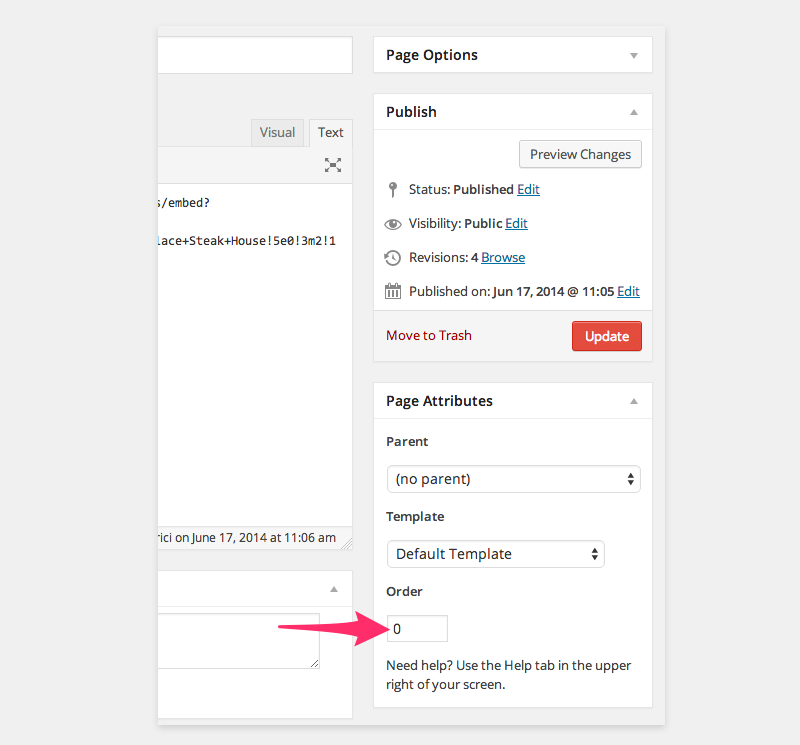 Once you have selected the page template, click Update button, and when the page will refresh a new metabox called Directory List Options will appear in the right sidebar. 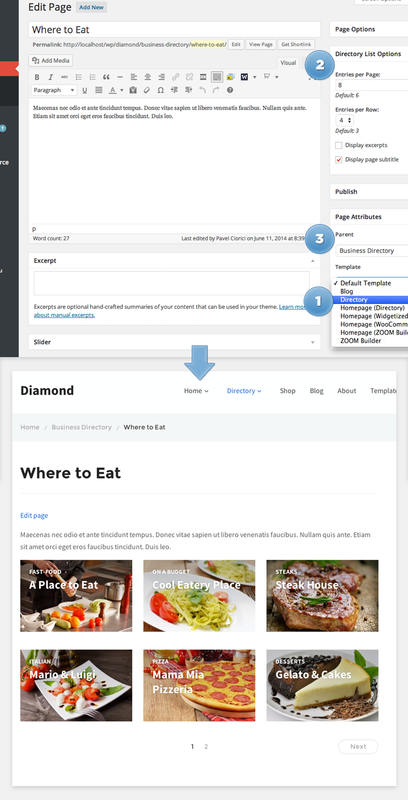 From this metabox you can quickly configure different options for the current directory page. Each page with the Directory template will display its sub-pages as directory entries, so make sure to set the right Parent page to those pages that you want to display as directory entries for the current directory page. Homepage: Directory template is widget-based, and this means that you can easily control it from Widgets page. 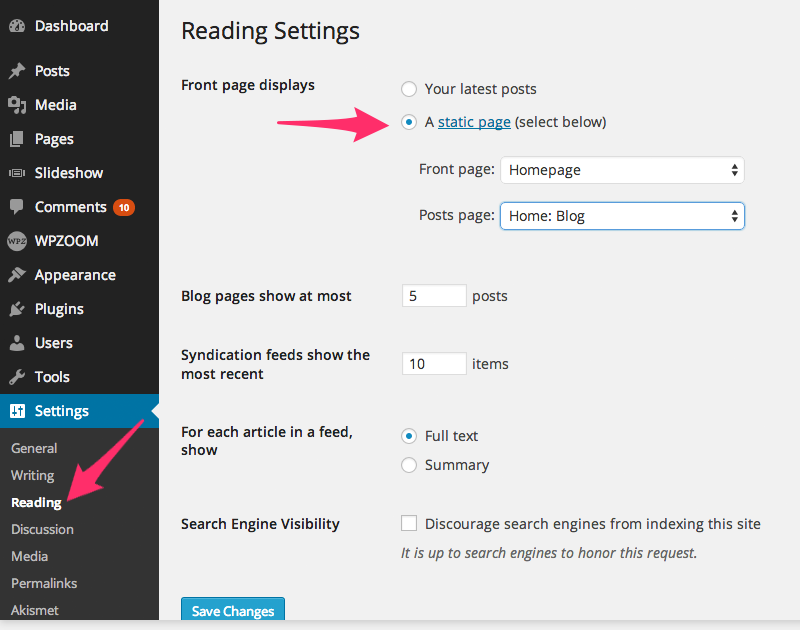 First you will have to create a new page and assign the Homepage (Directory) template. 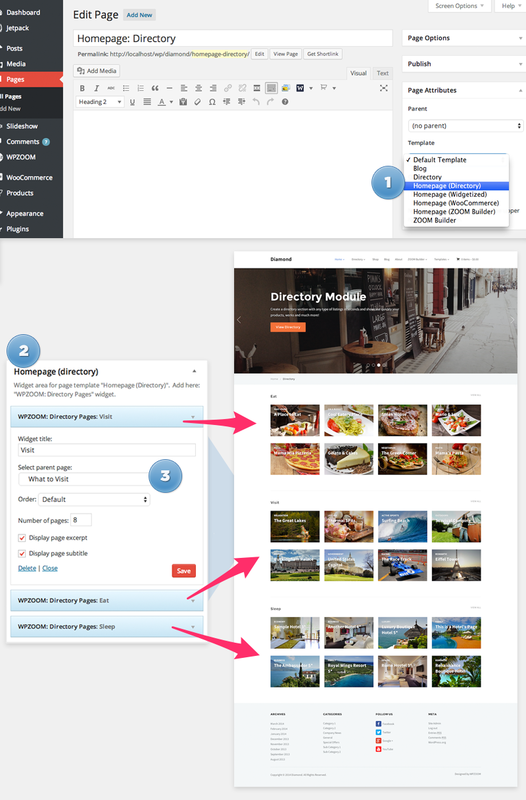 Now navigate to Appearance > Widgets page in WordPress Admin, and add WPZOOM: Directory Pages widget in the Homepage (directory) location. You can add multiple widgets to display different directories. Make sure to select the right Parent Page from which will be shown the sub-pages. Creating directory entries similar to the ones from the demo (example) is very simple. New listings can be added just like you create static pages. Just make sure to select the right Parent page on which the current listing will be displayed. 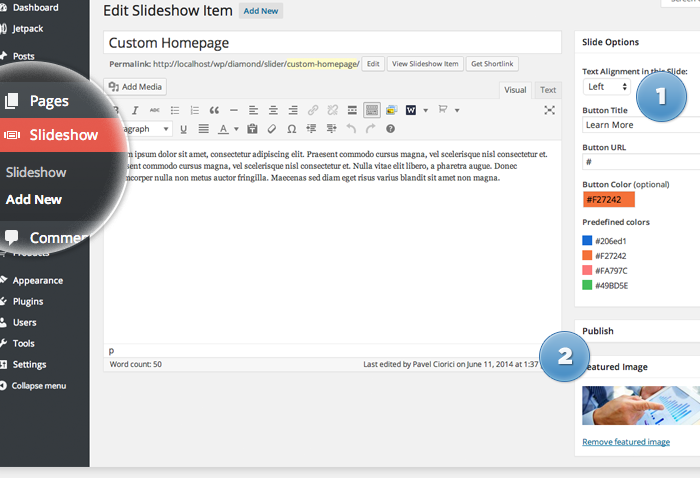 In the Slider section you can quickly create a slideshow for current page, that will be displayed at the top. 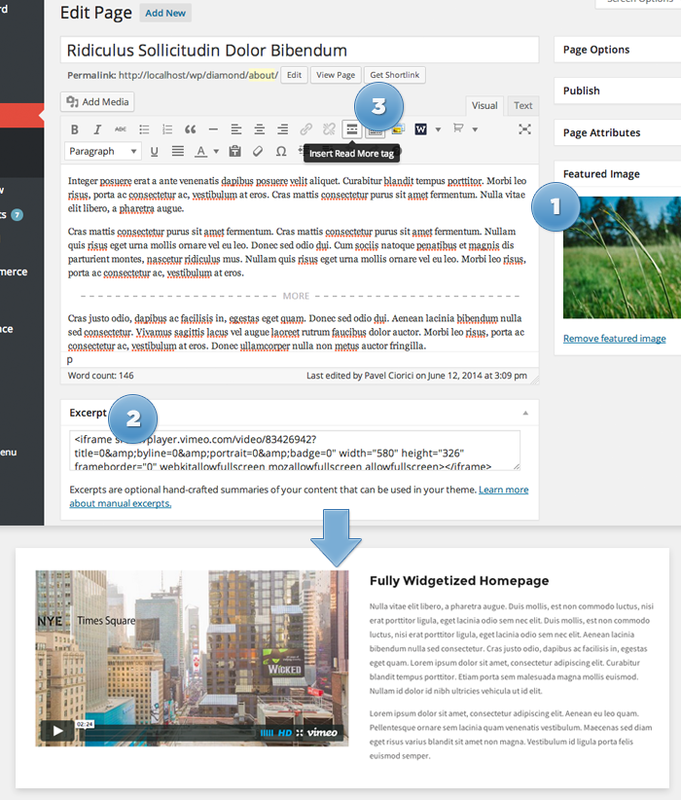 Tabs can be added quickly using WPZOOM Shortcodes, and in this case – Tabbed Layouts. Create as many tabs you want, and then start adding content in them. You can change the order that your pages are displayed in Directory archives by using the Order field of the Page Attributes module. Find the page Hotel 2 and click the title. If you’re using the WPZOOM: Directory Pages widget, be sure to set the Order option to Page Order. This widget can be added in the Homepage (Widgetized) template via Widgets page, and it allows to feature the content from individual pages. 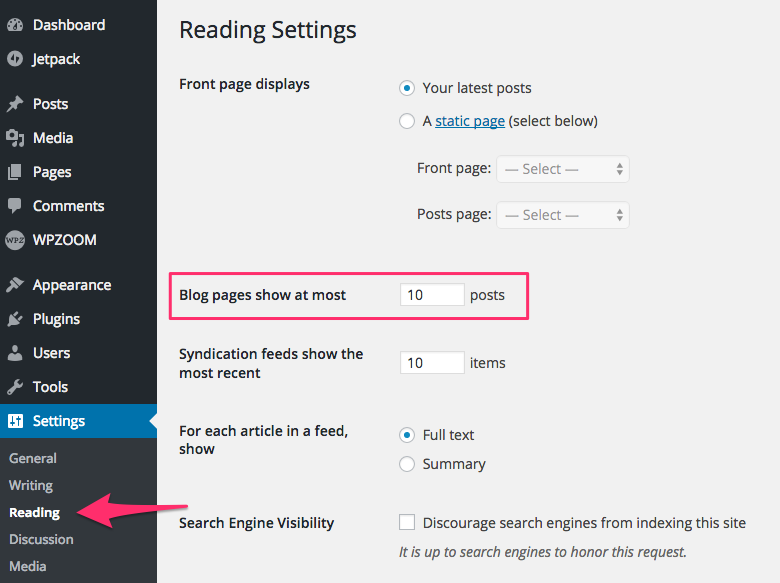 If a page has a Featured Image then it will be displayed in the widget, in case you have enabled this options in widgets settings. You can also display a video instead of the Featured Image, but you’ll have to insert the embed code in the Excerpt field when editing the page. 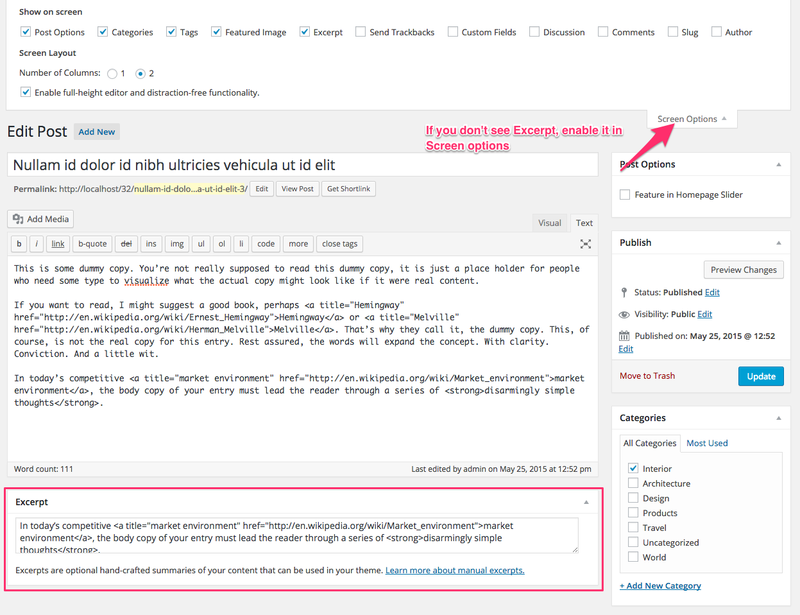 If you don’t see the Excerpt metabox, make sure that it’s enabled from the Screen Options from top-right. This widget will display the full content of a page, but you can easily make use of the Read More tag and insert it anywhere you want in the content. This widget can be added in the Homepage (Widgetized) template via Widgets page, but you’ll need to install and activate WooCommerce plugin. To mark a product as featured go to: Products > Products and select the Star in the featured column.